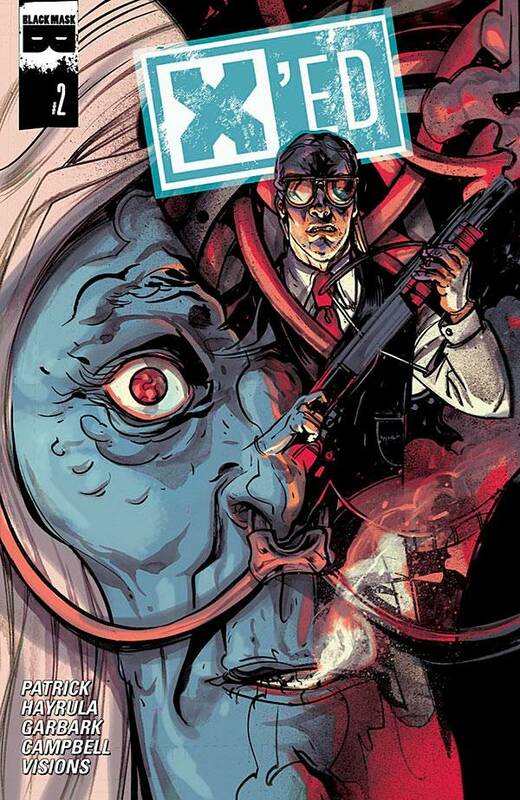 The Fellowship was fortunate enough to obtain a copy of X’ED #2 from Black Mask Studios. Tony Patrick writes, Ayhan Hayrula draws, Doug Garbark colors, and Jim Campbell letters. Colin has had a rough time of it. Two tours in the Gulf. A struggling family back home. A past that might just catch up with him. All of these things make him uniquely qualified for his job at Mezign. He’s the guy who dives into people’s minds to clean out their memories. And he may have dived too far this time. This issue is Colin’s story, but the crisis is still going on. The attack is still under way in the real, and Evelyn is not doing well at all. Oh, and no one is sure what will happen to Colin if Evelyn doesn’t pull through. The layers of depth in this story are just phenomenal; issue 2 is packed with so many layers of exposition, it will blow your mind. And the writing and art work together to make all of that exposition exciting and fresh. This is one seriously well-written and well-crafted book, from all angles. You won’t be able to put it down, and you won’t want to wait for the next issue. Go get it. X’ED #2 is available now at your FLCS or at blackmaskstudios.com.